RENO, Nev. - Former Aces right-hander Barry Enright returned to Northern Nevada Friday night. The 32-year-old from Stockton, California signed as a free agent with the Arizona Diamondbacks back in July of this year following a brief stint in Mexico. Enright appeared in three games for the Aces before being sent down to Double-A Jackson for what looked to be the remainder of the season. Enright earned a promotion back to Reno this afternoon after going 2-1 in Double-A. Once a top prospect, he won 17 games for the Aces between 2011 and 2012. Tonight, he went three innings and allowed just one run on two hits. Reno dropped the series opener to Albuquerque by a score of 14-4. The Isotopes totaled 14 runs on 16 hits to the Aces four runs on 10 hits. Offensively for Reno, Deven Marrero led the charge going 2-for-4 with two RBI and a double. 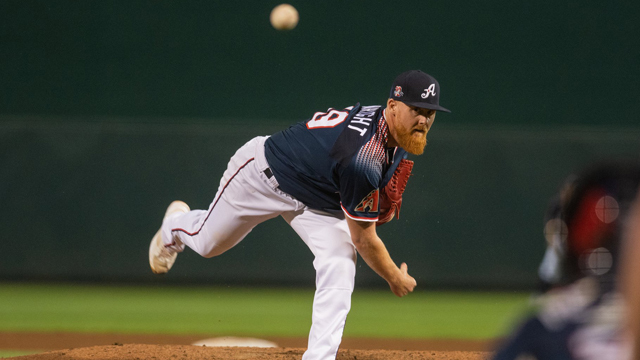 Albuquerque jumped out to an early 10-run lead through three innings of play and Reno couldn't mount a comeback against Brett Oberholtzer's strong performance. The visiting southpaw delivered seven strong innings and allowed just two earned runs. Reno square off against Albuquerque three more times to round out the 2018 campaign. What's on Deck: 2019 season tickets are NOW ON SALE beginning at just $96! Don't wait to reserve your seats for the Biggest Little Show on Grass. 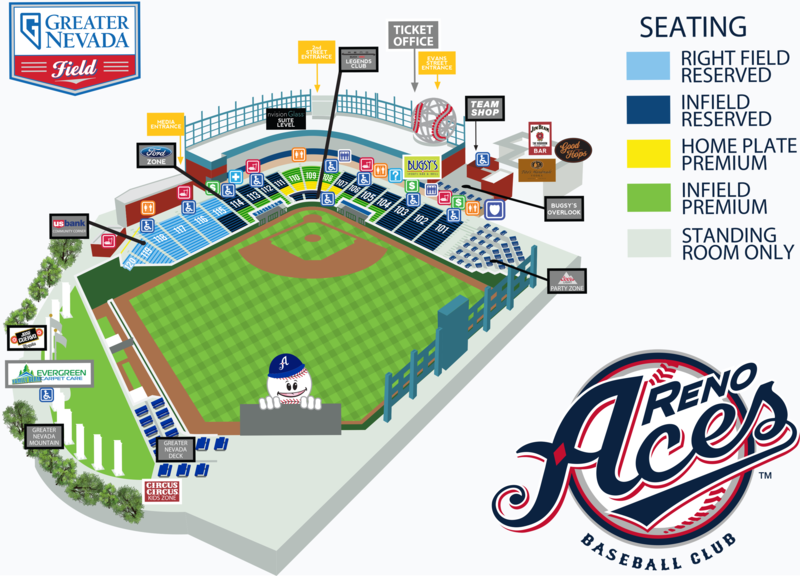 Visit the Ticket Sales Kiosk behind section 105 for more information. Tonight kicked off Fan Appreciation Weekend at Greater Nevada Field. Tomorrow night's contest features a Didi Gregorius Bobblehead Giveaway and celebrate the Sandlot's 25th Anniversary.